So you have won your case in civil court. Now what? Even if the judge determined that you were due a monetary award, it doesn’t mean that the losing party is going to pay up. The other party in the case may simply refuse to pay you the money you are owed, or they may not have the means with which to pay you. In either case, it can be difficult to determine what you should do. Here are a few things to keep in mind after the judge tells you that you are entitled to compensation. 1. People who are financially stable rarely refuse to pay judgments. They do not want a collection agency coming after them or, worse yet, a judge. 2. If a person or business is experiencing financial hardship, you may find it very difficult to collect your judgment without a fight. 3. In many states, courts allow for post-judgment discovery. During this process, the losing party must disclose their sources of income and other assets. 4. You can garnish someone’s wages. When you win a case against an individual and they refuse to pay, your attorney can schedule a hearing with the court and ultimately have the individual’s wages garnished. 5. In many states, the time period you have to collect a judgment is limited to 10 years. 6. If the person you won a judgment against files bankruptcy, specifically Chapter 7, you will lose the ability to collect your award. 7. If you are unable to collect your award on your own, your attorney can help you. You may be able to pay the attorney by the hour or give them a percentage of the amount they are able to collect. 8. 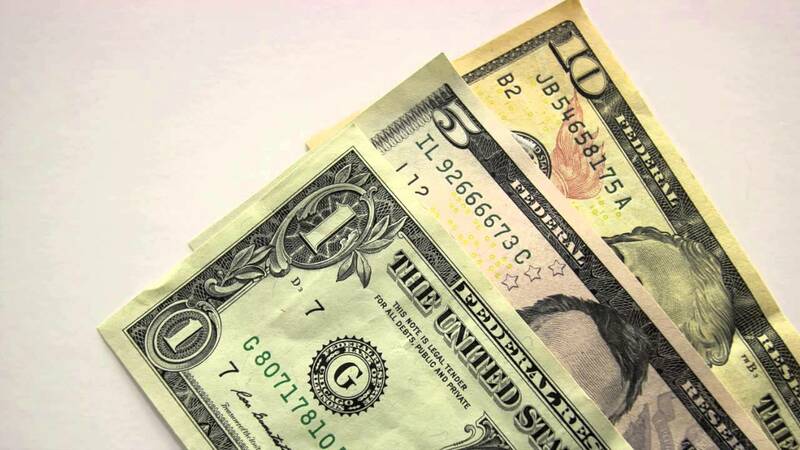 If the person who owes you money is located in another state, you will have to file a foreign judgment in that state. Your attorney can assist you with this. Collecting a judgment is not as simple as putting your hand out and watching the money fall in. While many people who lose in court pay as they are ordered, some do not. It is when someone refuses to pay that things can get complicated. If you need a personal injury lawyer in North Carolina due to an accident or other cause, we are here for you. Call our office today for your free case evaluation. We will listen to the details of your case and advise you of your options. We are here for you. Call now. The first few weeks after a brain injury can be worrisome. Victims often experience swelling, bleeding or changes in brain chemistry. These issues can affect the way that brain tissue functions. While many people improve from brain injuries, some do not. How a person recovers depends on the injury and the individual. Despite the difficulty in determining exactly how a patient will recover, there are generalities that can be considered. Typically, people experience the greatest amount of recovery within two years of the injury. After this, recovery may halt or slow dramatically. It is not to say that a person cannot return to full function, but that they may be very slow to do so. Level 2: Responses are not consistent and not directly in response to stimuli. Level 3: Responses are inconsistent but in response to stimuli. Level 4: Patient experiences agitation and confusion. Level 5: Patient is confused and inaccurately responds to commands. Level 6: Patient is confused but responds accurately to given commands. Level 7: Person can go about day with minimal confusion. Level 8: Memory is functioning and patient is responsive to environment. Level 9: Patient can function but is aware of need for assistance. Level 10: Patient can function but may need extended time or compensatory strategies. After two years, most people who have suffered a traumatic brain injury show decreases in disability. Many live in private residences and are employed. It is not unusual for people to require some type of supervision during the day or night. This is not intended to be legal advice or indicative of all patients. If you or a loved one has suffered a traumatic brain injury, the best source of health information is a medical professional. If you need a personal injury lawyer in North Carolina due to a traumatic brain injury, call our office today. A member of our team will review the details of your case at no cost to you and advise you of your options. Call now or browse our website for more information about our firm and how we can assist you. No matter what your fitness goals, sustaining an injury certainly isn’t one of them. Unfortunately, there has been an increase in injuries at gyms across the United States in recent years. According to the University of Arkansas, that increase totals 35 percent. There are several mistakes that can lead to workout-related injuries, but the two most common are poor posture during the day and trying to do too much too fast. People need to keep in mind that they are going to the gym to get in shape. They need to take it slowly. Injuries to the foot and ankle often occur because the feet are out of shape. People rarely think of their feet being unprepared for the gym, but the truth is that much of our weight rests on the front of the foot. This can cause your feet and ankles to take the force of any impact, including impact at the gym. Proper shoes are the key to preventing some of these injuries. Again, our sedentary lifestyles and poor posture mean that our knees are not entirely ready for our new workout regimes. One of the best ways to condition your knees is with lunges. This exercise helps to stabilize and strengthen the knees. Do you round your back during the day? If you work at a computer, chances are that you do. This can cause stress to your lower back when you suddenly try to put it into action. Remember to stretch your upper back and pay attention to your posture. When you sit and stand correctly, your lower back is engaged and you are less likely to shock it by subjecting it to exercise. The overuse of the rotator cuff can lead to pain and, if not treated properly, surgery. Cable rows are a great way to condition your shoulders and get them ready to lift heavy weights. If you sit with rounded shoulders, your neck is stressed. You carry this stress with you into the gym and poor posture can cause injury. Always make sure that your neck is supported properly when you are lifting weights. This may mean paying attention to your posture when you are on your feet or using a rolled towel when you are laying on your back. By conditioning your body before you decide to undertake a new workout routine, you are less likely to experience injury. Pay attention to how your body is performing outside of the gym and adjust your behaviors accordingly. Warming up and cooling down can also go a long way in preventing gym injuries. 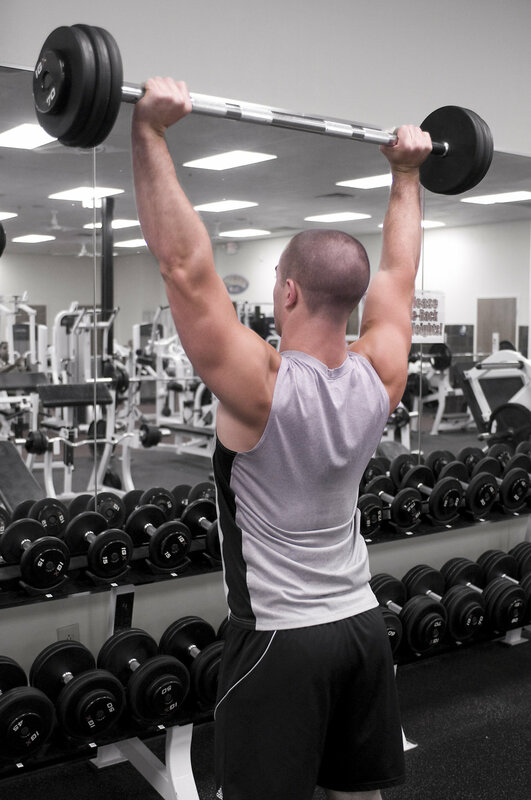 If you have experienced an injury at the gym that is due to someone’s negligence, you need an attorney. A personal injury lawyer in North Carolina can be of assistance at this time. Call our experienced team of attorneys today for a free case evaluation. We are here for you and will work to get you the compensation you may deserve. When you sue someone for a personal injury, you know that you may be entitled to compensation. What begins to be confusing is exactly what type of compensation you are entitled to. If you believe what you see on television, you assume that you are entitled to hundreds of thousands of dollars in compensation for your injuries. Don’t believe what you see on TV. In truth, you may be entitled to economic and non-economic damages and, in extreme cases, punitive damages. Here’s a brief overview of the three. Economic damages are those for the money you lose. In other words, you will receive compensation for past and future medical care, the loss of earning, loss of the use of your property, the money you had to pay to have property repaired or replaced, the loss of employment opportunities, and even reimbursement for domestic services that were necessary. Non-economic damages are for non-monetary losses. These may include pain, inconvenience, emotional distress, loss of companionship and loss of enjoyment of life. Punitive damages are those that are awarded to a plaintiff as a way to punish the defendant. The purpose of punitive damages is to deter the defendant from intentionally or recklessly performing the same behavior that led to the lawsuit. 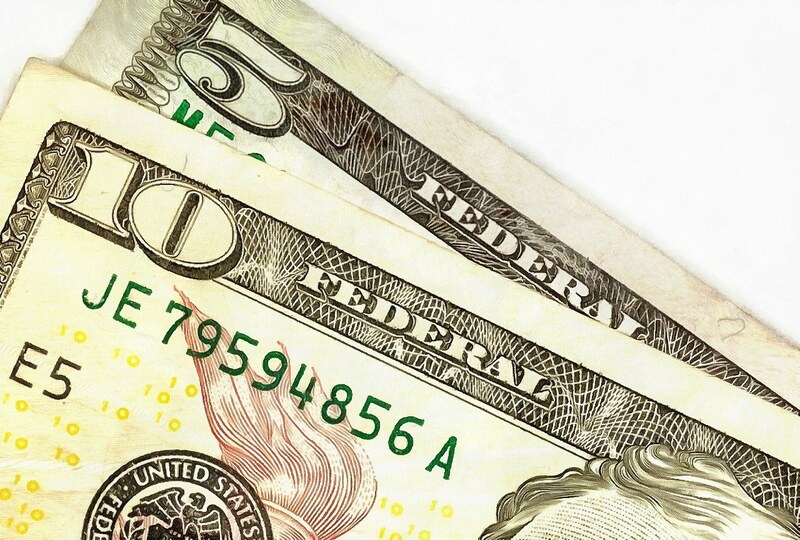 Punitive damages are not as common as many people believe. If you are hurt in an accident, seeking the advice of an attorney is your best option. An attorney experienced in personal injury law can review the details of your injury and advise you as to what compensation you may be entitled to. An attorney can also tell you if you have a case that is worth taking to court. When you need a personal injury lawyer in North Carolina, reach out to our team. We are here for you and will provide you with a free initial consultation. Call our office today to speak with a member of our team. We are here to help you put the pieces of your life back together. Call us now or browse our website for more information about our firm. In Amanda Clark’s senior project, she wrote about the accident that almost claimed her life. She was talking on the phone while driving and ran a stop sign. As a result of her failure to stop, she was broadsided by another vehicle. Her Chevrolet Trailblazer rolled three times and landed on its roof. Clark walked away from the accident with only scrapes and bruises. The accident occurred in 2006. In 2007, Clark was killed in a car accident. It was almost a year to the day of her first. Driving on the Highway 5 bypass on her way to Manteca, California, Clark was texting someone she knew. She lost control of her car. According to reports, it took 40 minutes to remove Clark from her car, and she had ceased breathing. She passed away at the hospital the next day. Today, Clark’s mother travels to schools and other venues to tell her daughter’s story. She tells her daughter’s story about once a week, despite the emotional toll it takes. The first time she told her daughter’s story, Bonnye Spray says that she cried the entire time. She looked up to see several people wiping tears from their eyes. She knows that Clark’s story has an impact. 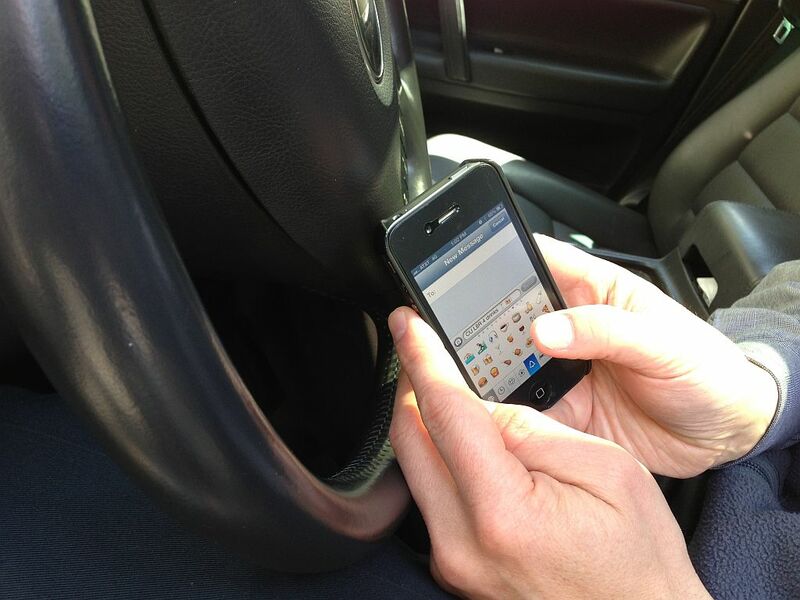 In 2013, 3,154 people were killed nationwide due to distracted driving. What you have heard is true: Texting can wait. If you have been hurt in a car accident in North Carolina, call our office. A member of our team will review the details of your crash at no cost to you and advise you of your options. Call us today to find out if you may be entitled to compensation under the law. We are here for you as you begin to put the pieces of your life back together. Call now. Property is damaged in car accidents every day. In many cases, people are injured in these accidents. One of the first questions asked is: “Whose fault is it?” Contributory and comparative negligence can answer this question. But how? Let’s discuss both. Negligence is a term freely tossed about after an accident, but you may not be clear on what it means. In a court of law, negligence means that someone acted in a way that a reasonable person would not have. When someone’s negligence causes another person to be injured or property to be damaged, that person is legally responsible for paying for the damages or making restitution. A motorist strikes pedestrian. The pedestrian was not using a crosswalk and did not heed the warning of a do-not-cross sign. Who is at fault? The pedestrian is because they did not act reasonably to ensure their own safety. If the defendant can prove contributory negligence on the part of the plaintiff, the plaintiff may not receive any compensation, or the compensation received may be reduced. 1. Pure Comparative Negligence: The damages incurred by the plaintiff are totaled and then reduced by the percentage of the plaintiff’s contribution to the injury. For example, a plaintiff is awarded $10,000. The judge determines that the plaintiff was 50% responsible for the injury. The plaintiff will be awarded $5,000. 2. Modified Comparative Negligence: If the plaintiff is found to be 50% or more responsible for their injuries, they are found to be equally responsible and not awarded anything. If you have been involved in a car accident in North Carolina, call our office. A member of our team will review the details of your case and help you determine if you are entitled to compensation under the law. Your first consultation is free. Reach out to us now today. Picture this: You are watching a crime drama on television and the accused is standing before a judge. The accused criminal is absolutely insistent on representing themselves in court. The judge strongly advises the person that this is a terrible idea. Most of us have seen those episodes and, if not, have at least heard that it is never a good idea to represent yourself in a criminal trial. While it is rarely a good idea to put your faith in television shows, in this case you would be right to do so. It is rarely, if ever, a wise move to represent yourself when you are accused of a crime. What about a civil trial? You don’t stand any chance of going to jail or prison and, if we are being honest, you simply can’t afford an attorney. The good news is that representing yourself in small claims court or through a civil trial is something you can do effectively. Here are questions that we are often asked when people are considering representing themselves in these types of cases. 1. Can I hire a part-time lawyer? Yes. The answer to the question posed is always ‘yes,’ and hiring a lawyer to help you at least part-time is an excellent idea. An attorney can act as a consultant, giving you advice on strategy. You will have to pay an attorney to do this, but you won’t be paying the costs associated with having an attorney appear in court with you. 2. Do I file in local, state or federal court? If you are considering representing yourself, it is doubtful that you will be appearing in federal court. Small claims courts tend to be county-wide or local and state courts will hear cases of greater monetary value. The clerk of courts for either jurisdiction will be able to tell you which court will be able to tell you if their court is the proper one for you to file in. 3. What about all of the paperwork? There is no doubt that the paperwork involved in a legal proceeding can be complicated. The clerk of courts can provide you with the paperwork you need, but they can only provide limited information as to how you will fill it out. A law library or an attorney can assist you with the filling out of the paperwork. 4. What happens after I file? Once you have filed your lawsuit, you are in a holding pattern. The defendant will be given time to provide an answer, and you will be schedule for any one of a variety of hearings or conferences. Again, the clerk of courts will be your best source of information if you are wondering what happens next. 5. How do I act in court? The judge knows that you aren’t an attorney, so you don’t need to worry about using legalese. You do, however, need to act professional and respectfully. It is always a good idea to be well prepared in order to keep your case flowing smoothly. Don’t expect a judge, no matter how good-natured, to appreciate it if you waste their time. Representing yourself is not difficult in a civil matter but things must still be done properly. If you need the assistance of a personal injury attorney in North Carolina, please reach out to our office today. We will provide you with a free consultation and answer the questions you have. Call now. It’s easy to argue in a personal injury case. After all, who is to say the person was really injured? How do you prove that someone who was hurt is deserving of compensation for their medical bills? 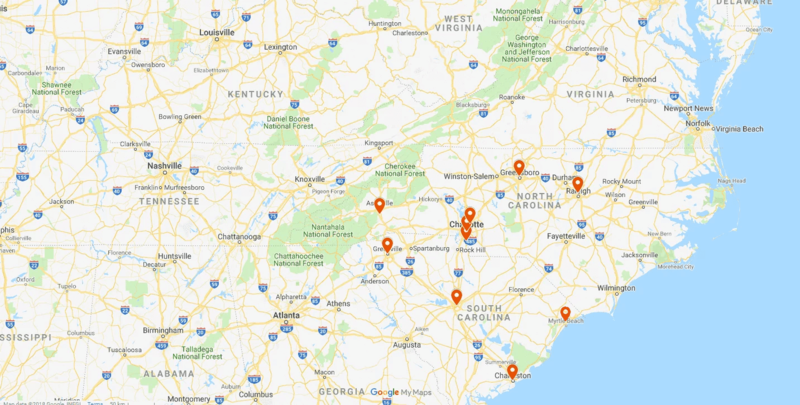 Until recently, legal experts, including almost any personal injury lawyer in North Carolina, relied on the experience and expert testimony of doctors. Today’s modern technology is making an appearance in personal injury cases. A law firm in Calgary put technology on the stand, so-to-speak, in 2014 by using data from a Fitbit to show how an accident affected their client. But how? According to what is known, a woman was injured in a car accident four years ago. Fitbits weren’t available then, but she was a personal trainer at the time. Her lawyers plan to use information from the Fitbit the woman purchased after the accident to show how her activity levels have declined. They plan to prove that her activity level is lower than that of someone of her similar age and profession. The Fitbit itself didn’t take the stand, but the data from it was used as testimony to the woman’s decline in physical activity. The information from the fitness tracker was used to show that the accident had a very serious impact on the woman’s life. It was then up to the judge to determine if the information held enough weight to prove the woman’s case. 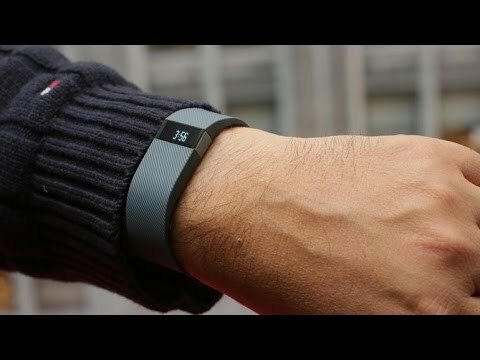 One thing is for certain: The use of the Fitbit’s information opened the door to using information from health trackers in court. A case presented in 2015 used information from a health tracker as well. How people prove their cases, on either side of the table, may change dramatically. Prosecutors may use the data to prove their cases, and defense attorneys may use the information to blow a plaintiff’s case out of the water. If you have been injured in North Carolina and need an attorney, please call our office today. A member of our team will review the details of your case and offer you advice with regards to your options. Call now. As a small business owner, you may be considering foregoing workers’ comp insurance for your employees. You have looked into the insurance and the premiums are simply higher than you can afford right now. Not to mention the fact that those premiums will rise even higher as you add more employees to your company. Is skipping out on workers’ comp insurance a smart move? The short answer is ‘no.’ The long answer is a bit more complex. When you decide to hire even a single employee, you do so with a promise to provide financial assistance should they be hurt on the job. It’s the law. If you choose to not purchase workers’ comp insurance, you are setting yourself up for a lawsuit that could financially ruin your business if one of your workers gets hurt. You may think that you would be better off just paying for your employee’s medical expenses out of your own pocket should an injury occur. After all, your employee may never be injured, so why throw money away on premiums? It’s a reasonable thought, but consider that paying a premium each month is almost always cheaper than paying tens of thousands in medical bills for your employee. Studies have shown that employees who feel like they are valued will perform better on the job. These employees care more about their employer, and they are willing to do more at work. Ask yourself what it will say to your employees if you aren’t willing to provide the protection of workers’ comp insurance. At the end of the day, workers’ comp insurance provides peace of mind. You can go to sleep at night knowing that you are following the law. You will also know that should an accident happen at work, your employees are covered and, in turn, so are you. There is really no good reason not to have workers’ comp insurance. When you determine that you can no longer run your company on your own and bring in an employee, you are bound by law to protect that person. If you fail to secure workers’ compensation insurance and your employee is hurt, you can expect to be paying not only medical bills, but court fees and other compensation as well. Do yourself a favor and pay the premiums. If you have been hurt on the job and need help with a workers’ compensation claim, please call us. We understand workers’ comp in North Carolina and are here to assist you. Call now for a free consultation. Taking that first step and scheduling a consultation with an attorney after you have been injured can be stressful. This is especially true if you have never had to hire an attorney to represent you. What do you need to do to prepare for that first meeting? We always recommend leaving the legal work to our team, but there are some things that you can do to assist us. Namely, you can provide us with as much information as possible to ensure our initial meeting goes smoothly. Here are five things you will want to gather and bring to your consultation. The initial consultation is the time to ask any questions that you have. You will want to get to know our team, and you will want to determine if we are a good fit for you and your family. Jot down any questions you would like to ask as you think of them, and bring your list with you. Your memory of the accident will be less clear as the days pass. One of the most important aspects of your case will be fault. In order for your attorney to prove who was at fault, they will need an accurate timeline of the accident. Bring along any evidence you have in regards to your accident. If you took pictures, print them out and bring them with you. If you have a list of witnesses and their contact information, you will want to provide your attorney with that information. Don’t worry about what may or may not be admissible in court, we will help determine what is useful. The amount of damages you will be awarded will depend on the amount of your medical bills. Bring copies of any bills that you have incurred. If your doctor or medical team has determined that you will need ongoing treatment, let us know that as well. Bring any correspondence you have received from the other party. This includes legal notices and correspondence from the insurance company. These papers will give your attorney an idea of what has already been discussed. If you have been hurt and need a personal injury lawyer in North Carolina, our experienced team is here for you. Call us today or browse our website for more information. We are here to help you put the pieces of your life back together following your traumatic event. Call now.